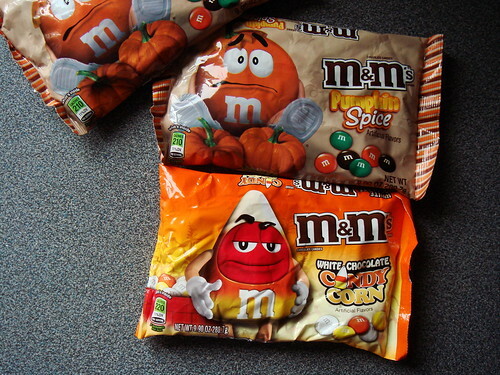 I haven’t tear into my little stash of pumpkin spice M&Ms so no report just yet. 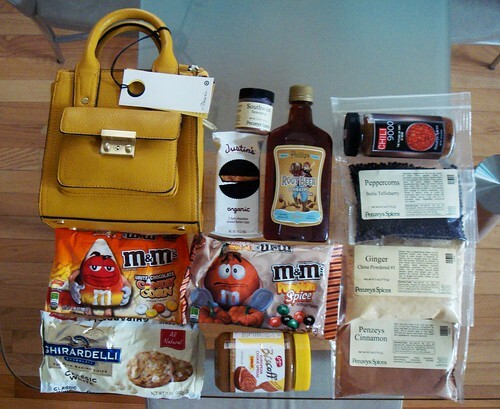 I satisfied my pumpkin spice cravings in an entirely wholesome and old-fashioned way. 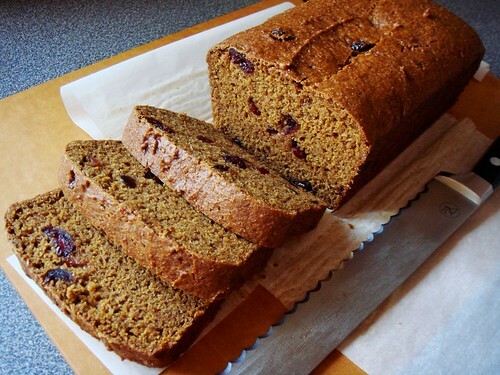 I highly recommend Mrs Larkin’s vegan Pumpkin Bread with Cranberries. Yes, unlike PSL, this lovely pumpkin treat is vegan. I adapted her recipe to make double batch in order to optimize on oven use. In addition to cinnamon, nutmeg, and cloves, I added ground ginger and cardamom to the spice mix. The moist and tender crumb is the result of pumpkin puree and grapeseed oil. Little pops of sweetness were added by dried cranberries. The breakfast treat was made more wholesome by using 50/50 mix of whole wheat red fife flour and all purpose unbleached flour. 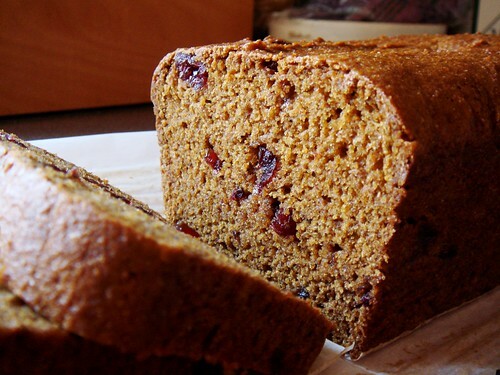 Like most pumpkin bread, it keeps well for days and the flavour only improves. Someone please explain to me why I ought to pay over $5 for a PSL?